Cradock – Defending champion Michele Eray is locked in a race against time to recover from a tendon injury in time for the Hansa Fish Marathon that starts on 7 October. Eray has already withdrawn from the national marathon team going to the world marathon champions as she struggles to shake of a debilitating tendonitis injury that derailed her recent worldwide surfski tour. Eray won the women’s division of a surfski race in the US in excruciating pain as the inflamed tendons in her lower forearms worsened throughout the race, eventually forcing her to abort the rest of her tour and return home to try and deal with the crippling injury. 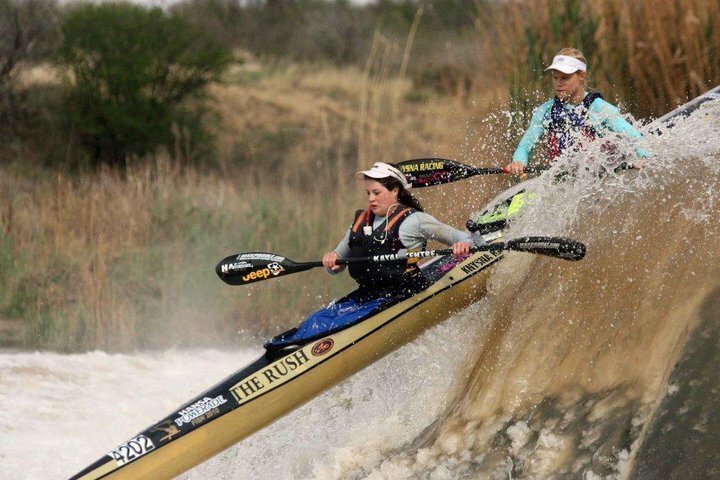 Eray won the K2 title with Kime last year, triggering celebrations in local paddling circles as an Eastern Cape local won a race title for the first time in more than a decade. 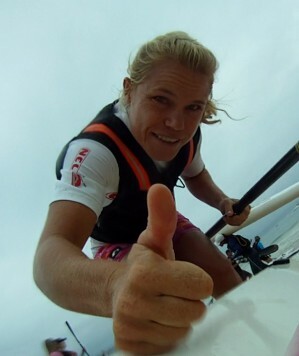 She has been in sublime form since then, winning the Dunlop Surfski World Cup and the tough Berg titles before setting her sights on the second half of the year packed with major surfski internationals and crucially the women’s K1 race at the world marathon championships in Singapore in October. As a full time coach and biokineticist Eray knows how far to push the human body, but she is struggling to come to terms with the tendon injury that has brought her racing and training to a grinding halt.